Age of Empires II, the 1999 strategy game from Ensemble Studios, is getting an HD remastering and coming to Steam. 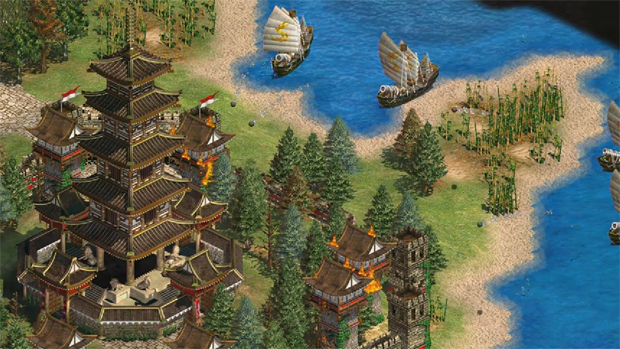 Age of Empires II HD Edition will hit Steam on April 9, a mere month away. This HD-ified title will also include The Conquerers expansion pack, and is being developed by Hidden Path Entertainment, since Ensemble Studios no longer exists. Steam Workshop integration and multiplayer lobbies will also be included, turning this into one of the most desirable HD releases in recent memory. There is information on the official website, as well as a link to a Steam store page, which shows the price at $19.99, temporarily cut to $17.99.